I will be co-hosting this one-of-a kind yoga teacher training with my dear friend Gopi Kinnicutt at Flow Yoga Center in DC. This will be a two-module training taught over 2 weekends in May (May 9-11 and May 30-June 1). We will dive into the rivers of Bhakti, through Mantra, (sacred sound and movement), Puja (ritual and sacred space), Lila (sacred stories), Sadhana (practice), Prasad (sacred food) and so much more. 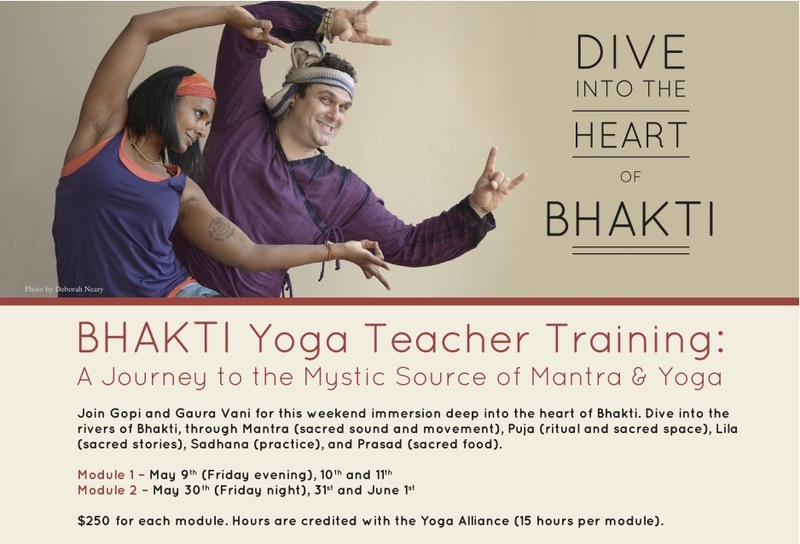 I am seeking Bhakti trainings on the east coast. I am located about 2 hours from your location and was interested in learning more about your training. My teacher training is in Integral Yoga and I have been teaching for 15 years.